In autumn of 1918, clinicians and researchers at Hopkins became burdened with a war-related epidemic crisis. An unusually lethal strain of what appeared to be either influenza or pneumonia had taken hold in various American training camps. It was also spreading into the civilian population. Several members of the Hopkins staff headed to the laboratories on campus and traveled to training camps in order to investigate the cause of the epidemic. What they hoped to find through the modern tools of bacteriology was the culprit bacterium. What they discovered instead was a complex puzzle and the limits of their tools. 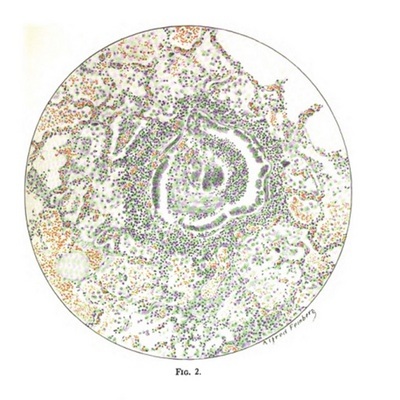 The puzzle of the 1918-1919 epidemic would persist well beyond the era of bacteriology. 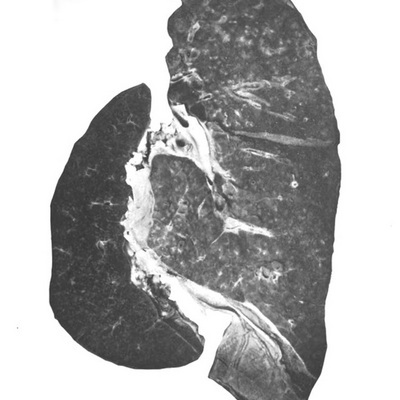 In 1996, after the advent of virology and genetic science, medical scientists began to isolate the 1918 influenza genome from archived lung tissue of a victim. The sequencing was accomplished by 2005. The 1918-1919 outbreak has continued to intrigue investigators at Johns Hopkins and elsewhere. They have given the war-related outbreak new purpose: understanding and preparing for deadly flu pandemics in the present. The post-9/11 world has created anxieties about the possibility of biological warfare. 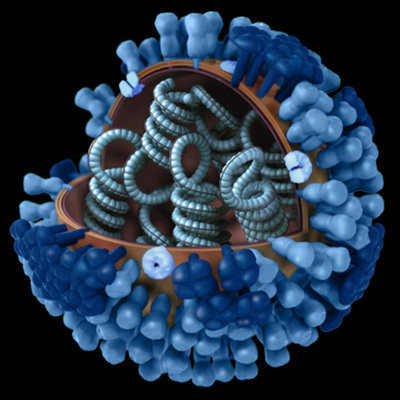 Outbreaks of SARS and H1N1 have also reminded Americans that the spread of unusual strains of influenza remains a real and frightening possibility. As the biggest flu pandemic in modern history, the 1918-1919 outbreak’s numbers and movement have become useful models for thinking about potential future scenarios. In 2006, Derek Cummings and Donald Burke of the Bloomberg School of Public Health mined data from the outbreak and used computer technology to map its movement and magnitude. They were developing a tool for thinking about the potential movement of 21st-century avian flu pandemics across the globe.